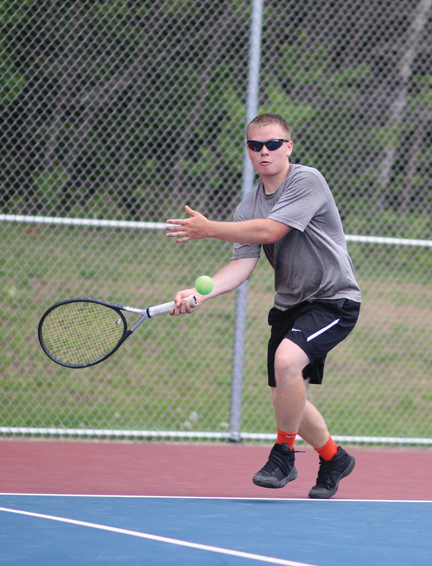 ISHPEMING — For the past four seasons, the Westwood boys tennis team was the ruler of Division 2, winning Upper Peninsula titles each of those years and five of the last six. 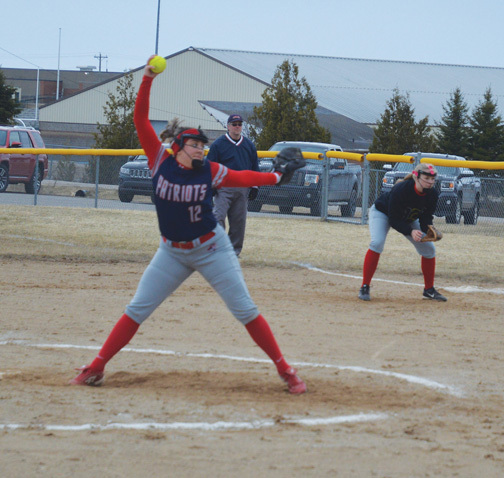 Eventually though, all dynasties come to an end and that’s what happened Wednesday afternoon as West Iron County edged the Patriots 20-18 at Westwood’s home courts. 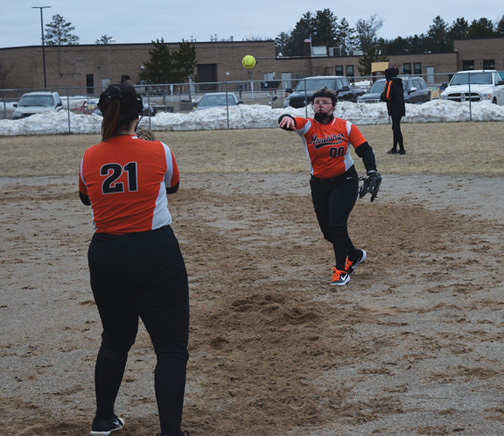 Munising took third place with seven points followed by Ishpeming, Iron Mountain and Gwinn. Patriots head coach Chris Jackson knew going in that it was going to be a tough fight against a Wykons squad that hadn’t lost all season. 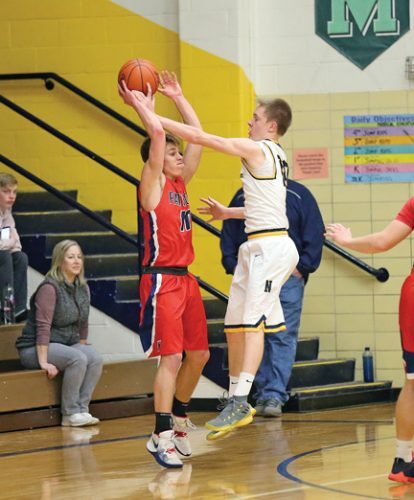 For WIC, another title had been in the cards for awhile as the Wykons were the runners-up to Westwood the past two years, but a strong team effort finally got them over the hump. 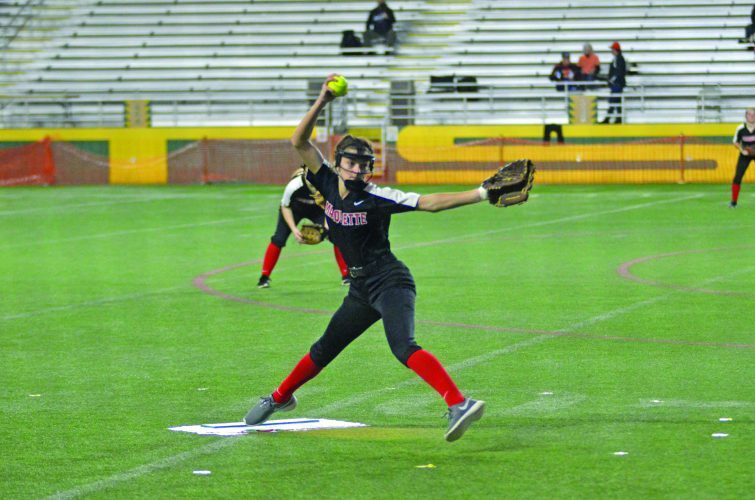 “We looked good today,” WIC head coach Joe Serbentas said. “Sometimes when you have multiple teams, some teams can play a role in what is going on and it just happened that it was us and Westwood in the finals. The Wykons won three of the four doubles matches to put them over the top. It wasn’t easy, though, as Brandon Henschel and Kevin Ballinger dropped the first set to Westwood’s Dylan Willey and Jared LeRoy, but they came back to take the next two sets for the title. On the other end of the Westwood courts, Steven Nelson and Caden Pellizzer took the first set from the Patriots’ Connor Traver and Hudson Uren and fought off the Westwood tandem in the third set to win that match. Jackson was impressed with how Willey and LeRoy performed, battling Henschel and Ballinger to a hard-fought third set. “They were a (No.) 3 seed, so they had to play the extra match,” he said about his duo missing out on a first-round bye. 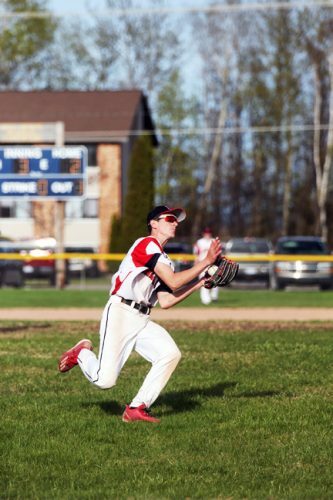 “Munising beat them earlier in the year and they came out and played really well. Westwood’s lone doubles championship came at No. 4, where Nathan Ostlund and Jack Mattias topped WIC’s Nolan Anderson and Drew Hebert. 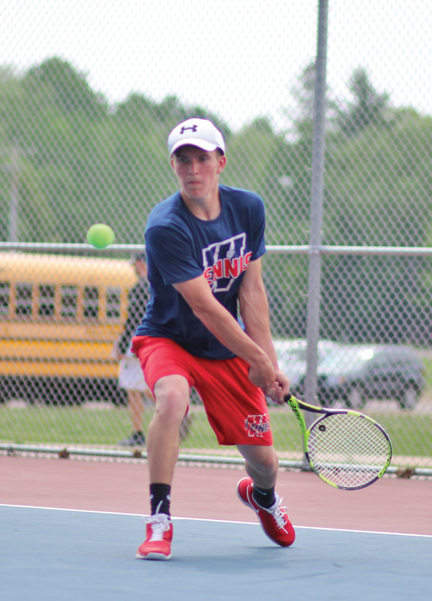 In singles, the Wykons’ Holden Ross and Neil Tomasoski easily took their matches at Nos. 1 and 2, respectively, and Serbentas praised Ross for the strong effort he put in against Westwood’s Adam Hyttinen. “Holden was hitting well early in the season, but then he got into a little funk where he was guiding a little too much and being a little too patient and not attacking some of the balls that he could’ve attacked like he did earlier in the year,” Serbentas said. “Today, he just let it go. He wasn’t holding any punches. He gave him everything he had. Westwood’s Matt Paavo won the No. 4 final and Munising earned its only title of the day at No. 3 when Mitchell Coyne earned a two-set victory. However, the best tactics on the day went to the Wykons and Serbentas felt that with each title, it gives tennis a chance to grow in popularity. “We’ve got a strong tradition at West Iron,” he said. “I’ve been coaching there, this is my 15th year and we’ve got seven championships. So we’ve got a strong tradition and we have a lot of young guys who look up to these seniors that will have to step in next year. Ryan Stieg can be reached at 906-228-2500, ext. 252. His email address is rstieg@miningjournal. net.